The best editor to edit, convert, merge and create PDFs. Ashampoo PDF Pro 2 is the complete solution to manage and edit your PDF documents. The program has everything you need to create, convert, edit, merge and protect your PDFs. Create perfectly sized documents that are readable on any device and use encryption to protect your property when needed. Your PDFs are now as easily editable as Word documents! Single unified editing mode instead of "View", "Comment" and "Edit"
Ashampoo PDF Pro is not only ideal to fill out forms but also to create and edit your own. It takes only a few clicks to add interactive elements, like selection lists, checkboxes or input fields, to your PDF form. These forms can then easily be filled out by anyone using a standard PDF reader. The side-by-side view is genuine highlight of Ashampoo PDF Pro and allows you to quickly compare two PDF documents with synchronized scrolling. This feature is especially handy during translations or while browsing through document revisions of the same file. A single click will reveal even the smallest of changes! Would you like to capture parts of your document as image files? You got it! The new screenshot tool can capture any portion of your document quickly and easily with custom formats, resolutions and color depths, including alpha channel support. Simply capture the parts that really matter to you! Need to apply unique numbers and/or date/time-marks to several PDFs for further processing, e.g. a batch of invoices? The new bates numbering feature makes it possible: Process any number of files or entire folders and add numbers, texts, e.g. headers and footers, or date stamps with incredible ease. This may sound familiar: You need to edit an image embedded into a PDF with an external image editor. Usually, you would have to export the image, open it in the external editor, save the changes and then reimport it into the PDF. With Ashampoo PDF Pro , a single click opens the image in your preferred editor and, once you hit save, Ashampoo PDF Pro will then ask you whether you wish to apply the changes to the PDF document. Sometimes, you need to replace colors through the entire document, e.g. to adapt its design to company or project requirements. The new find and replace feature makes it easy: Just select the color to be replaced, followed by the replacement and Ashampoo PDF will do the rest. Save time and effort with the new features in Ashampoo PDF Pro! If you've used Ashampoo PDF Pro before, you'll notice a major change right after program launch: The user interface has been completely revamped and toolbar icons were redesigned to be more meaningful. On top, the PDF program now offers touch-friendly icons, if needed - perfect for use with touchscreen or high-resolution displays! Ashampoo PDF Pro is more than a simple PDF reader or editor with blazing fast document conversion to Word or Excel formats. The program makes editing PDFs as easy as editing text documents. This includes formatting text, inserting images and adjusting the layout. Merging documents is also a no-brainer And the virtual PDF printer driver that comes with the software allows you to instantly create PDFs from any print-enabled application. Ashampoo PDF Pro features a mature OCR engine that converts scanned characters into computer-editable text. Naturally, the program also features seamless file exchanges with Microsoft Word. Ashampoo PDF Pro's find and replace goes far beyond what you will find in other PDF editors. Not only can you replace text at the click of a button but also hyperlinks, fonts and colors. It's the fastest and easiest way to adjust the design of your document and you can even apply this feature across multiple files. Ashampoo PDF Pro is the comfortable way to add comments to your PDFs, highlight important passages or add drawings for clarification. Built-in stamps like "Approved!" or "Confidential!" further help you mark up your documents. Ashampoo PDF Pro creates high-quality PDFs from all print-enabled Windows programs. Simply select "Print" in your application of choice and pick "Ashampoo PDF" as printer. If required, Ashampoo PDF Pro can downscale images automatically, e.g. for online publication. With Ashampoo PDF Pro, you can modify, add, delete and format text paragraph or page-based. If required, the program can highlight recent changes thanks to the built-in change tracker to help you with document revisions. The integrated spell checker helps you avoid typos and auto-hyphenation ensures your texts look decent. Thanks to strong AES-encryption, your PDFs are protected against unauthorized and unwanted actions such as opening, editing, printing or text extraction. You decide what recipients can and can't do with your files! You can also permanently and irrevocably blacken sensitive information. Revising documents is a breeze with Ashampoo PDF. Rearrange and delete or crop and rotate individual pages as you see fit. You can even insert pages from other PDF documents or combine multiple documents into a single file with incredible ease. Looking for a free PDF editor? Look no further. You can use Ashampoo PDF Pro 2 free of charge for 10 days, plus 20 if you complete the free registration afterwards! Here's your chance to get an entire month of PDF viewing, editing, converting and creating for free! ActivePresenter includes all the tools needed to record screen, annotate, edit screencast videos and create interactive eLearning contents in HTML5. Let’s say you want to create a video demo. Chances are you need to record your actions on screen and edit videos when finished. You may also wish to have other things in the video like your face and voice. In this case, the Record Video function in ActivePresenter 7 is the best choice for you. In this tutorial, I’ll show you steps to do that. 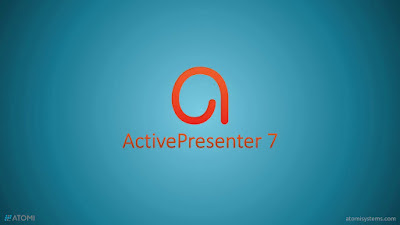 With ActivePresenter 7, recording video demonstrations is as simple as that! ActivePresenter offers many powerful yet easy-to-use features to make demo videos, interactive simulations, eLearning games, training courses, etc. In today’s tutorial, we’d like to cover the basic video editing aspect of this software. Specifically, you’ll learn how to cut, copy, delete, and crop videos. ActivePresenter allows you to edit both recorded and imported videos. Right after the capture phase, the software takes you to the editor where you can edit what you’ve recorded. On the other hand, you can import videos into ActivePresenter and edit videos as normal. Just drag videos from your computer onto the Canvas or click the Annotations tab > Video > From Files… and select a video. You can edit one or more videos at the same time using the video editing timeline. The first step is to select a video and define a range using the Playhead (1) and the two markers (2&3). The selected range is highlighted in light blue. To clear the selection, double-click the Playhead. Audio tracks are treated the same. Easily cut, copy, delete, and crop them if needed. These basic video editing tools act differently depending on whether or not you select an object. If you do select an object, the tools affect that object only. If not, they affect the slide and all objects falling into the range (the entire slice of the range). To get a better view of the timeline, zoom in or out by holding down CTRL while scrolling the mouse wheel up or down, respectively. Now, take a look at each of these basic video editing tools. Mistakes happen every now and then when you record screen. A big mistake may require you to start over and re-record everything. Meanwhile, a tiny mistake only wants an “undo” and you can continue recording as if it never ever happened. After that, just cut the mistake out from the video/audio and you’re done. Step 1: Select a video/audio that contains unwanted fragments. Step 2: Make a range. Step 3: Click Cut Range or press CTRL+SHIFT+X to remove the range. Then, a red stripe appears to show where the two remaining parts of the video/audio are joined together. Step 4: Optionally, paste the cut content into the same or another slide. To do that, move the Playhead to the desire position and press CTRL+V. Step 1: Select a video/audio. Step 3: Click Copy Range or press CTRL+SHIFT+C to copy the range. Step 4: Paste the copied content into the same or another slide. To do that, move the Playhead to the desired position and press CTRL+V. Removing mistakes is a basic task when you edit videos. Use the Delete Range button to delete any video parts you don’t want. The Delete Range button works just like the Cut Range button, except for one difference. While the former is used to delete the content inside the range, the latter “cuts” the content from the range and places it on the clipboard, then you can paste it where you want. In short, Delete Range stands for removing while Cut Range stands for reallocating. To delete a range, select it and click Delete Range or press CTRL+DELETE. Often you record extra footage at the beginning and end of a recording. When you edit videos, you want to trim out these fragments, that is to take off either end of the video/audio. Step 1: Select a video/audio that you want to trim out extra content. Step 3: Click Crop to Range or press SHIFT+DELETE. That way, only the part of the selected video/audio that lies inside the range is retained. As reminded earlier, the four tools also work when you select no objects at all. In that case, they affect all the objects falling into the range. For example, if you click Crop to Range while selecting no objects, you retain only the slide content inside the range and delete all the rest. So, that’s all about four basic video editing tools ActivePresenter offers you. Remember that you can always do even more to create great videos. Stay tuned for upcoming tutorials on other useful video editing features. 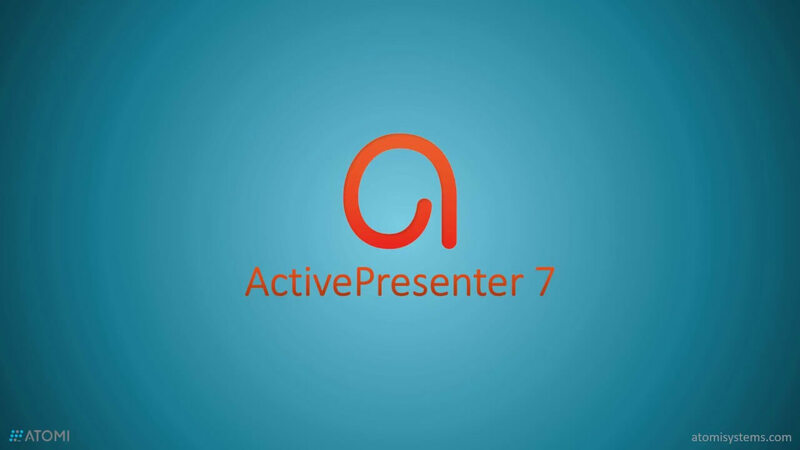 ActivePresenter 7 – one of the best tools for interactive software simulation allows you to record any application on screen and save the process as a project with slides. These slides clearly show the procedure you have taken with the software. Besides, HTML5 output that allows learner interactions, provides instant feedback will help them learn how to use the software more effectively. With the Recording software simulation feature in ActivePresenter 7, illustrating any software becomes even much easier than before. A software training manual is meant for training employees about a product feature or a task. Normally, they show how to do or use something with detailed steps and can be exported to the PDF or Word format. Making this document helps your employees implement any process by themselves and shorten the learning curve. Quizzes are critical elements of a test. They allow you to test performances of learners, collect information and opinions of viewers, and so much more. Besides, quizzes come in handy when you need to create surveys. Creating quizzes that are both interesting and effective at the same time is a great way to let users learn in their own spaces and get the most out of the course. With ActivePresenter 7, you are free to create quizzes with 9 types of questions: True/False, Multiple Choice, Multiple Response, Essay, Fill in Blank, Fill in Multiple Blanks, Sequence, Drag-n-Drop, and Rating Scale (Likert). Capture screen when mouse clicked or key pressed. Each action is captured as a slide which explains in detail what the viewer should follow to master the lesson. Record screen as a full-motion video and embed it in a slide for further editing with annotations, voice-over, zoom-n-pan, closed captions, and animation effects. Record system audio and audio from microphone simultaneously while recording screen. Recording voice-overs and narration separately is also available. Record screen and webcam at the same time or record webcam videos separately, all depending on your need. Edit audio and video without quality loss. Supported operations include cut, delete, crop, split, join, blur, change playback speed, change volume, and insert freeze-frame. Make polished and high-quality screencast videos and training simulations with various line/fill/text styles and shadow effects. Integrate live-action footage to enhance video presentations by layering two images/videos together based on chroma range. Export contents to popular video formats including MP4, AVI, WMV, WebM, and MKV. Balance between output size and video quality with frame rate, keyframe, and quality options. Choose from dozens of shapes. Draw custom vector shapes and paths using the freeform Shape and Scribble tools. Design fully-responsive, mobile-ready eLearning contents. Easily convert regular projects to responsive ones. The flexible event-action mechanism with rich event and action types allow defining different learning scenarios based on viewers’ responses at each step. Create virtually any kind of assessments or surveys with nine different types of questions. Design professional random quizzes with slide pools & random slides to prevent viewers from remembering and predicting answers. Export contents to HTML5 which can run on any modern web browsers and devices (PC, macOS, iOS, Android, Windows Phone, etc.). Support SCORM and xAPI, two most popular eLearning specifications which are widely supported by many Learning Management Systems (LMS). Kindle Transfer is designed for those people who need to transfer Kindle books to another Kindle or computer. In this scenario, you can safely back up your Kindle books, or easily share them with other Kindles. The transferred Kindle books are DRM-free, which means you can convert them to other formats freely, so this tool is also helpful for cross-platform reading. Supporting these book sources: Kindle 3 (keyboard), Kindle 4 (5-way controller), Kindle Touch, Kindle Basic, Kindle Paperwhite, Kindle Voyage, Kindle for PC and Kindle for Mac. Kobo is playing an important role in the eBooks market, especially in the EPUB format market. You will be pleased to know Epubor Kindle Transfer also supports Kobo books perfectly. You can transfer Kobo books to another Kobo, to a Kindle or just save them to computer. Supporting these book sources: Kobo Mini, Kobo Touch, Kobo Glow (HD), Kobo Aura (HD), Kobo H2O, Kobo Desktop for PC and Kobo Desktop for Mac. Kindle and Kobo support different eBook file formats. When you transfer books to another eReader device, Epubor Kindle Transfer automatically converts the eBooks to specific formats which are supported by the target eReader device. You needn't be an eReader expert to use this software. Send Kindle books and Kobo books to eReader or computer within clicks. 1. Choose the eBook source: any folder on your computer, or Kindle/Kobo eReader. 2. Choose the target folder or eReader device. 3. Click the “Transfer” button and wait for the job to be done. 1. transfer Kindle books to computer; 2, transfer Kindle books to another Kindle; 3, transfer Kindle books to Kobo. Of course, you can also do it in the reverse order. Epubor eBook Converter supports a large variety of eBook input and output formats. The supported input formats include KFX, EPUB, PDF, AZW, AZW1, AZW3, AZW4, Mobi, PRC, TPZ, Topaz, TXT, and HTML. Output formats include EPUB, Mobi, AZW3, TXT, and PDF. eBooks with DRM protection cannot be converted. Adopting the top-notch unique conversion tool --eCore, the conversion speed of Epubor eBook Converter is 60X faster when processing eBook conversion. Batch conversion enables you to convert a bunch of eBooks to one format swiftly at a time. With Epubor eBook Converter, you can easily edit the metadata describing your book such as the author, title, categories, key words, number of pages, publisher, and publishing date. The Epubor eBook Converter interface is user-friendly designed. It’s neat, simple, compact, yet powerful. You just need to click "Add" button at the top or set a default favorite folder to import your eBooks to the software. It only takes you 2 clicks to get your eBooks converted. WordMate is a MS Word add-in. It enables you to create eBooks from MS Word documents. Just with few clicks, you can create Word file to EPUB, MOBI, PDF eBooks and publish for Amazon Kindle, Apple iBooks, Nook, Kobo, Google Play and more. With WordMate, you can also read and Edit all your EPUB, MOBI, PDF eBooks in Word. It's convenient for writers and readers who have multiple formats of eBooks. It also supports: AZW, AZW3, AZW4, PRC, TXT, HTMLz, TPZ, Topaz, etc. Just import all your own eBooks and easily edit the font and text format with word features to get the best reading experience. Write all your contents in Word and format it, after finished, add the eBook metadata, such as title, author, cover, ISBN with WordMate and simply click "Build Mobi" , "Build PDF" or "Publish" to get the professional Mobi/PDF/AZW format eBook. The output eBook's quality is pretty good, no content loss. It will remain all text formatting, fonts and images which were edited by Word. WordMate has simple and clean interface. It is specially designed for authors and readers to focus on writing, reading. 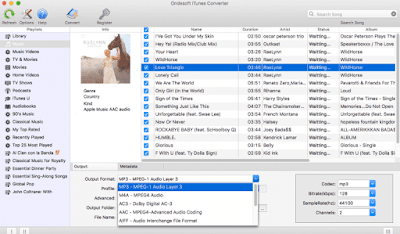 iTunes DRM-free, convert M4P to MP3, Apple Music converter. 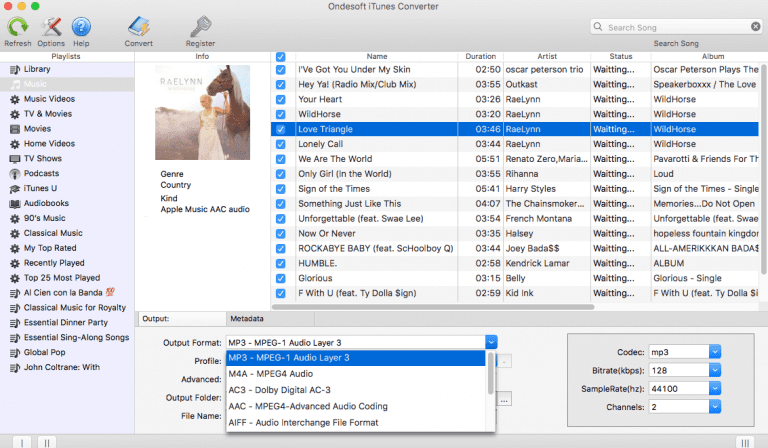 Remove DRM from iTunes M4P songs, Apple Music and Audiobooks. Preserve ID tags and metadata information to output MP3 and M4A. Remove iTunes DRM at up to 16X speed. Customize bitrate and sample rate as you like. iTunes like interface loads all your iTunes library automatically. Patented technology for maximum speed, power and stability. Fixes frustrating errors, crashes and freezes. Certified virus protection and data security. Thwarts "digital fingerprinting" that evades VPNs and cookie cleaners. Stops ad-trackers from following and targeting you. Companies and private users alike have to think about the dangers posed by malware. If you own a business, it’s not safe to ignore the threat posed to your clients’ data. Worms, Trojans, viruses, adware, and spyware can irreversibly damage the quality of your work, as well as your good name. But what do you do if your system is already infected with malware? What is the best way to get rid of viruses, worms, and other threats? iolo’s Malware Killer offers a comprehensive solution to this problem. Here is what you need to know about this malware remediation tool. How Can Malware Killer Improve Your PC’s Performance? 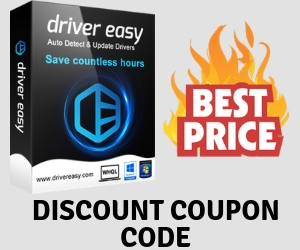 Malware Killer is designed to discover and root out existing malware on your PC. It runs on both 32-bit and 64-bit Windows computers. It is very easy to contract malware, even if you avoid risky websites and untrustworthy downloads. Your system can get a worm or a Trojan from something as simple as opening an email. Sometimes the damage is immediate and impossible to ignore. But many users don’t realize that their computer has contracted malware. Contracting spyware can lead to terrifying data leaks. If you get infected by adware, your computer’s performance can slow down to a crawl. Signature-based malware detention identifies malware by matching the signatures to a database of known threats. While this form of malware detection can have great results, signature databases aren’t extensive enough to offer the absolute protection your computer needs. This led to the development of heuristic malware detection methods. Rather than relying only on signatures, a heuristic algorithm scans the commands used in each file on your PC. This form of malware detection works even when the signatures aren’t known. iolo put a lot of care into building an algorithm that recognizes harmful commands. This increases Malware Killer’s efficiency and catches new and obscure threats. Scan Cloud scanning makes use of the heuristic algorithm mentioned above, combined with constant access to a reputation database. When a file appears to be suspicious, it gets sent to the Scan Cloud Sandbox. Here, it is subjected to thorough analysis. Relying on heuristic malware detection alone can result in false positives. After all, some files just happen to use suspicious commands. The algorithm can’t distinguish harmless files from harmful ones. But the Scan Cloud analysis process decreases the risk of false positives. All potential risks are examined thoroughly before Malware Killer starts removing them. Malware Killer doesn’t start removing files before asking for your input. When malware gets identified, it’s up to you to decide what happens to it. You can have it quarantined or removed from your PC. When a file is quarantined, you can choose to restore or delete it whenever you like. But if the Scan Cloud Sandbox failed to identify the scanned file correctly, you can choose to report it as safe. You also have the option to exclude it from future scans. Thus, Malware Killer can’t affect anything that is important to you. 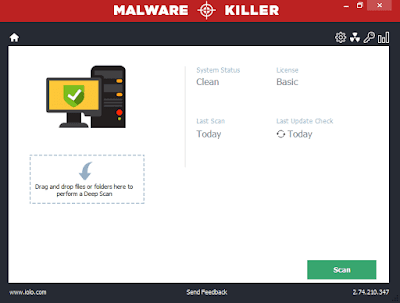 Why Is Malware Killer a Good Choice? If you’re looking for a way to improve your device security, you need a professional malware removal tool. But what sets Malware Killer apart? Unfortunately, there will never be a shortage of new malware. Around a million viruses, worms, and other threats get released daily. Your computer is constantly at risk. However, using Malware Killer means keeping up with new threats. The reputation database is dynamic. If a particular file is identified as unsafe, its signature gets added to the database. Even if there’s a relatively rare threat going around, you can rely on this tool to catch it. When a new outbreak hits, you want a tool that acts quickly. Malware Killer is as speedy as it is efficient. The scans are thorough but not too time-consuming. If you own the full version, you won’t have to jump through any hoops to get rid of dangers. There are many real-time malware protection tools that you can use, and these are crucial to your system’s security. However, they aren’t efficient when it comes to finding the spyware, ransomware, or virus that you have already contracted. For better security, you can use Malware Killer in combination with a malware protection tool. iolo’s System Shield is a good option for real-time protection, though Malware Killer works well with other tools too. Your PC deserves double protection. First, the shielding tool of your choice scans the websites you visit and the files you download. This means you can avoid the most obvious dangers. Then Malware Killer gets rid of anything that may have slipped through. Some malware protection apps offer remediation as a premium service. You may have to pay a considerable fee before your computer is free of malware entirely. But investing in Malware Killer licensing is an affordable option for everybody. 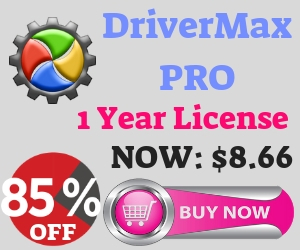 You can purchase this tool separately or you can get it as part of another iolo package, such as System Mechanic Pro or Phoenix 360. There is a free version of Malware Killer that you can download on iolo’s website. The free version detects malware just as efficiently as the full version. It also notifies you of the search results. However, you need the full version for malware removal. While Malware Killer is made for Windows 10, it also does a good job on computers that are still using Windows 8.1/8/7. You only need 65 MB of available disk space to install it. For optimal performance, it requires 2 GB RAM. To install it, you’ll need to use the Admin account on your PC. A steady internet connection is a must. Ashampoo ActionCam is video editing and optimization software for action cam and drone videos. Contrast, color and white balance optimization enhance and improve video footage for stunning new visuals. Camera shakes common with action cam or drone footage are fixed by a highly effective video stabilization algorithm while auto-sharpening takes care of blurriness and noticeably enhances even mediocre footage. Lens distortions like the dreaded fisheye effect are also effective removed. The software even features device presets for common models like the GoPro line for tailor-made optimization. Videos can also be played at any speed to create slow-mo or time-lapse effects. Popular video effects like tilt-shift or text overlays are also on board and help put the final polish on your videos. 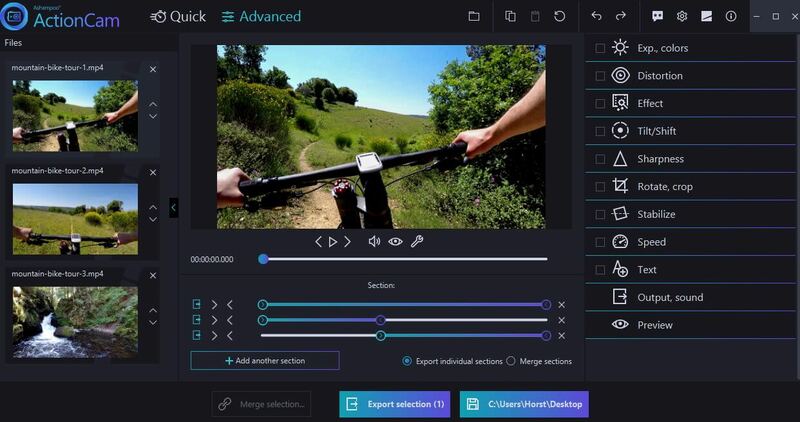 The clearly structured video editor flips, rotates and crops your videos at the click of a button. 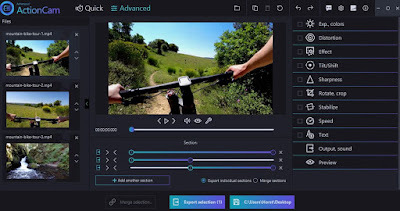 Since many action cams and drone store lengthy material as separate files, ActionCam also provides a merge feature that effortlessly combines multiple clips into one. Highlights can easily be exported later. The extensive auto-optimization, video editing and effects massively enhances the visual quality of any footage regardless of resolution and source. Ashampoo ActionCam supports all popular video formats and codecs at any resolution (including HD, 2K and 4K). Many features are also accessible through the built-in batch processor that provides huge time savings. All locales except China and Russia: Parallels Desktop, 1Password Families, Pocket Premium, Painter Essentials 6, Acronis True Image 2019, Cyber Protection Premium, PDF Expert 2.4, WinZip Mac 6.5 Pro, Parallels Toolbox, Parallels Access, TrackOFF, Cylance Smart Antivirus. China only: Parallels Desktop, 1Password Families, Pocket Premium, Painter Essentials 6, Acronis True Image 2019, Cyber Protection Premium, PDF Expert 2.4, WinZip Mac 6.5 Pro, Parallels Toolbox, Parallels Access, TrackOFF. No Cylance. Switch between Mac and Windows without ever needing to restart your computer. If you need Windows, easily download and install Windows 10 in one click. Create a virtual machine from your existing Windows, Linux, Ubuntu, or Boot Camp installation. Learn More here. (goes to product page) Parallels Desktop 14 is optimized for macOS Mojave (10.14) and supports Dark Mode. With over 50 new features and super-charged performance, this is our best Parallels Desktop release yet. Go ahead. Forget your passwords. 1Password remembers them all for you. 1Password is a password manager that keeps you safe online. It stores all your personal information — passwords, credit cards, licenses and more —behind a single Master Password that only you know. Sign into apps and websites with a single click, and guard against data breaches with the Watchtower suite of security tools. 1Password is available for Mac, Windows, iOS, Android, and Linux. 1 year subscription, family of 5, unlimited devices . This offer is only available to new users of 1Password. Use pocket to capture, collect, and absorb incredible web content. Save the incredible content you discover throughout the day to Pocket. It’s a personal, dedicated space to focus and spend time with the content that matters to you. A clean reader view strips out the clutter and distractions. Download the Pocket mobile app and access your content on any device—or listen to articles on the go and fuel your mind anytime. Pocket Premium also gets you a permanent archive, unlimited storage, an ad-free experience, and more! 1 year Subscription. Create blank canvas and photo art creations using award-winning Natural-Media brushes. As an intuitive paint program, Essentials offers a welcoming environment that will encourage you to have fun while using powerful and realistic art tools to reach your goals. Turn a photo into an amazing oil, pastel or impressionist work of art, or use pencils, pens or particles to paint, draw and sketch on a blank canvas. The best part? Connect with a solid social community of fellow painters who are passionate about painting and providing feedback. There’s an artist in all of us. Acronis True Image 2019 Cyber Protection Premium combines reliable backup with innovative AI-based defenses against ransomware and cryptomining malware, creating the most secure personal backup available. Flexible backups, from single files to full systems to Office 365 accounts. The ability to clone a Windows or Mac system disk while it is in use. Includes 1 TB of cloud storage for anywhere access to your data. 1 Year Subscription for 1 Computer. PDF Expert is a fast, robust and beautifully designed PDF editor for your Mac. Working with PDF documents has never been easier! Take your reading experience to the next level with PDF Expert. Highlight text, jot down ideas and take notes as naturally as you do it on paper. Farewell to typos and mistakes with PDF Expert. Modify existing text, change images and create hyperlinks right in your PDF documents. Moreover, you can reduce the size the file you’ve just edited and quickly send in over by email. 1 license – 3 devices. WinZip Mac offers simple zipping and unzipping right from its new Files pane. Work with large files – zip, unzip, protect, share and more. Zip and unzip files instantly using simple, drag-and-drop tools. Work with 12+ major compressed file formats. Protect files with banking-level AES encryption. WinZip Mac 6.5 Pro gives you all the WinZip Mac capabilities PLUS: OneDrive cloud service is supported, a Zip file diagnostics feature is available, choose to install from Zip pane, and Images can now be watermarked for added security. Parallels Toolbox for Mac includes the Mac & Windows tools you’ve always wished you had at your fingertips. Take screenshots, archive and password-protect all your files, record on-screen videos, and more. From computer newbies to Mac pros, everyone will enjoy this collection of well-designed tools. Record screencasts or remind yourself about important deadlines. Copy files quickly to iPhone or iPad. Monitor disk and CPU memory usage. Parallels Toolbox has it all without the clutter, in a simple and instantly accessible interface to help you get your work done faster. 24/7 access to your applications and files. The fastest, simplest, most reliable remote access to your computer from anywhere. Access all your applications, files, and computers in one place. One simple tap on your mobile device, and you’re connected reliably to your computer. Or access it from any other computer through a browser and your secure Parallels account. Navigate your hard drive easily to find a file or photo, then copy or open it with a tap. TrackOFF Standard protects you and your data from invasive online tracking. See who's trying to track you by getting real-time alerts when these attempts occur. Set a schedule to automatically clear your browsing history and tracking cookies. Whitelist the websites you trust the most. Stop the hackers and trackers from stealing your personal information. Reclaim your online privacy. Annual subscription to TrackOFF Standard for 1 Mac and 1 Windows PC device. Predicts and prevents the execution of advanced threats and malware on your Mac. Cylance Smart Antivirus presents a lightweight, non-intrusive (no pop-ups, updates or signature files), easy to install application that doesn’t impact your system’s performance. It leverages artificial intelligence and machine learning to detect and prevent malware attacks before they strike, with a predictive advantage of up to 25 months against never-before-seen threats. Set it, forget it, and protect your digital life. 5-Devices – 1 Year Subscription. 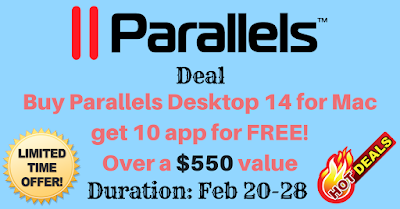 25% off on all new licenses of Parallels Desktop (Perpetual, Standard 1Y, PRO 1Y, Business) valid for 1st year only for subscriptions. 10% off on all new licenses of Parallels Desktop (Perpetual, Standard 1Y, PRO 1Y, Business) valid for 1st year only for subscriptions.